So I recently got a NutriBullet – and I love it! I’ve been making all sorts of smoothies and “ice cream” with bananas, avocados, grapefruit, kale, etc. It’s very easy to use and clean, and what saves me a ton of time in the morning is chopping up everything in advance and keeping it in the freezer. These two steps get me out the door on time in the morning. 1. 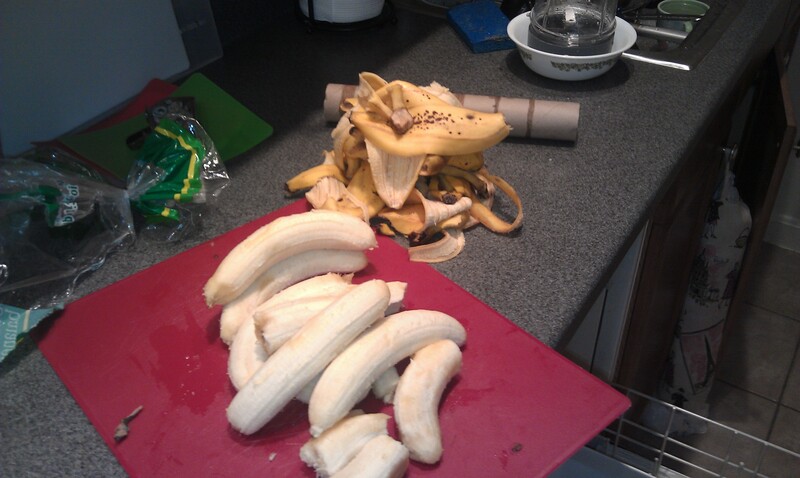 Chop up bananas and keep them in ziploc bags in the freezer. 2. 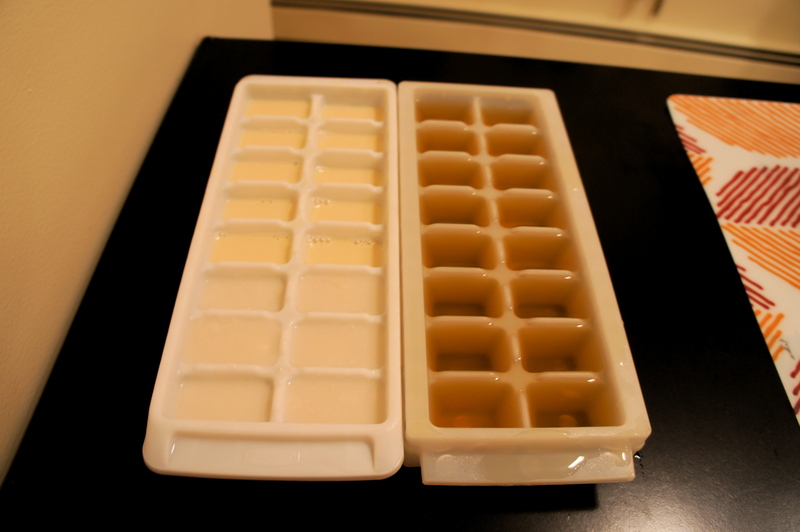 Put soy milk/coconut milk/almond milk/green tea/coffee in ice cubs trays, once they’re frozen pop them out and keep them in ziploc bags too. You can also keep kale and spinach in freezer bags for green smoothies. 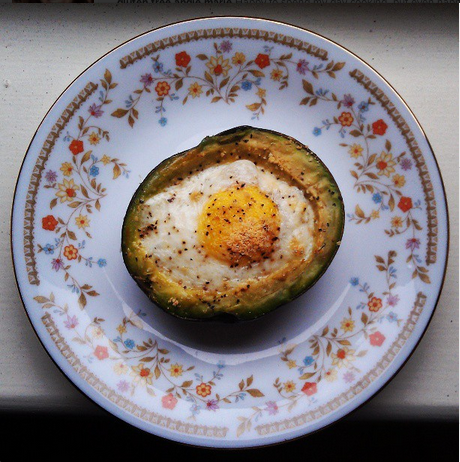 A protein packed breakfast – egg baked in an avocado. Looks super fancy, but it’s so easy! Crepes are surprisingly easy to make, and as a Celiac, I make them all the time to substitute for wraps, burritos, etc. Below is a recipe for crepes, and i’ll keep adding additional links to meals you can make in crepes. -Honestly, you can mix it all together at once and just stir like crazy until it is smooth. BUT, for the best results, add wet ingredients together first (water, milk, eggs), once fully mixed, slowly add your dry ingredients while stirring. -Heat a non-stick fry pan up on medium heat, once warm, and a bit of olive oil to lightly coat the pan. Quickly pour crepe batter into center of pan, letting it quickly spread to the edges. Be sure to keep the layer of batter consistent and thin across the pan (if slightly translucent- too thin). If you are going to make this into a burrito, make it on the thicker side, about 2 cm thick max. -Batter will quickly being to curl up around the edges while becoming more opaque from the edges inward. Wait till the center has a cooked layer, then use a spatula to lift up the edges and allow the remaining wet batter to fill in under the edges. Do this on opposite sides. -Once all the wet batter has cooked, lift up the edges and shimmy the pan back and forth so crepe slides free from the pan. Then using your spatula, scoop under the crepe and flip the entire thing over. Cook each side until light brown, or more if you like it a little crunchy. Now fill you crepes with all the delicious things you love! Crepes! 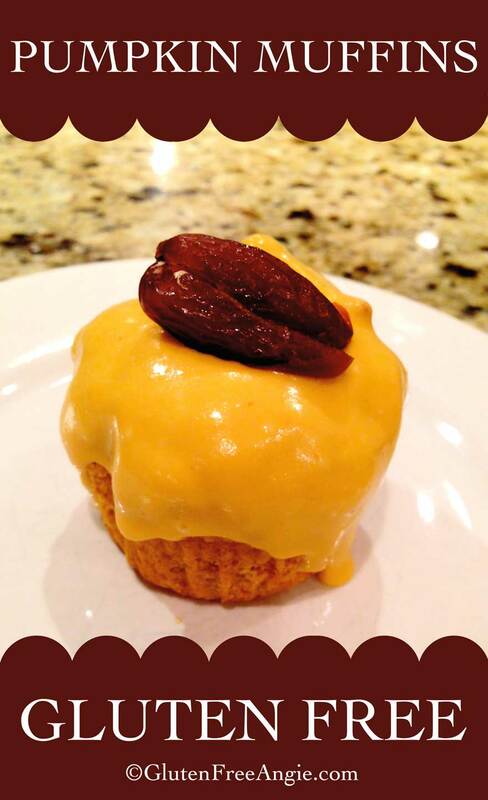 They seem so fancy, but secretly, they’re so easy to make! You can fill them with anything you want. My sister Kimmie came home from NYC this weekend, so naturally we had a food fest all weekend – apple picking pictures to come! 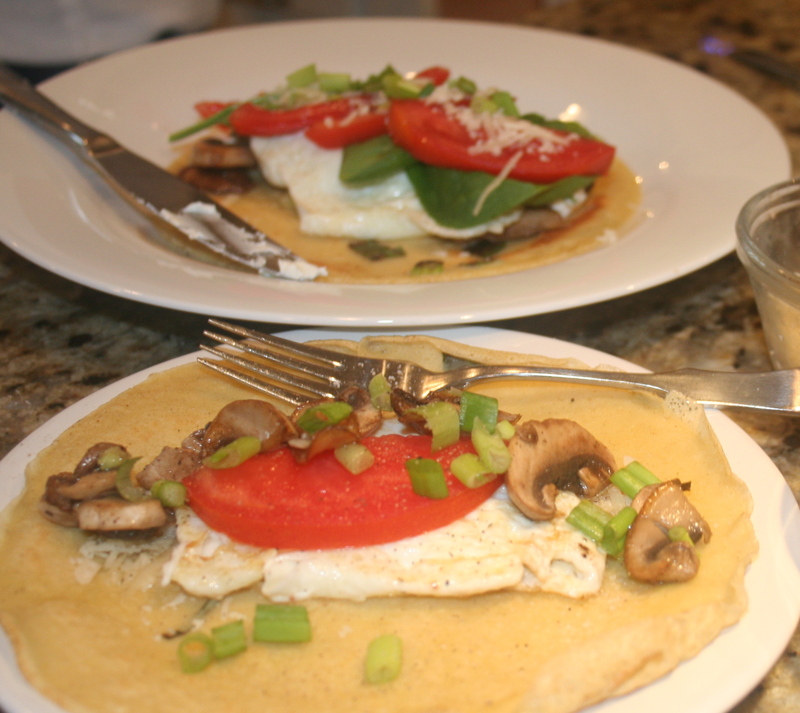 We made these crepes together with eggs over easy, scallions, mushrooms and garden tomatoes. -Mix all of your crepe ingredients in a bowl. Fill with your favorite toppings! ….I highly suggest an egg over easy!